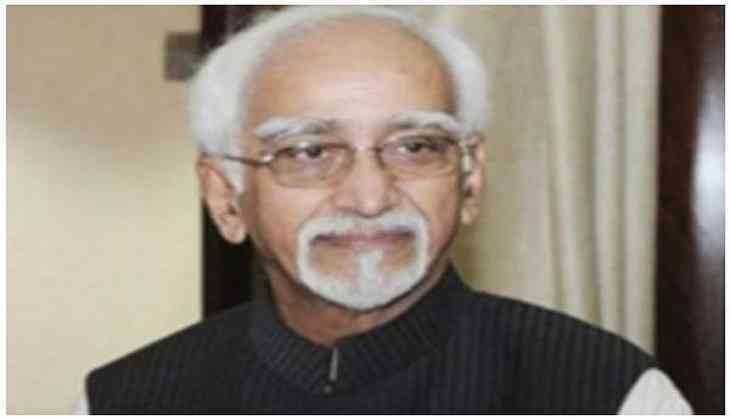 Vice President M. Hamid Ansari has said that in an open society like ours, we need a responsible Press to hold power to account. He was addressing an event to launch the commemorative edition of National Herald, in Bengaluru, Karnataka today. Karnataka Governor Vajubhai Rudabhai Vala, Karnataka Chief Minister K. Siddaramaiah, the Vice President, AICC, Rahul Gandhi and other dignitaries were present on the occasion. The Vice President said that the history of journalism in India is closely linked to the history of our freedom struggle. "The Press played an important role in educating, convincing and mobilizing our people. Jawaharlal Nehru envisioned a free, unfettered and honest press and he watched over the interests of media persons in independent India. The Working Journalists Act, which tried to give a degree of protection to journalists, to ensure freedom of press, was largely his doing," he added. The Vice President said that in this age of 'post-truths', and 'alternative facts', where 'advertorials' and 'response features' edge-out editorials, we would do well to recall Nehru's vision of the press playing its role of a watchdog in democracy and look at the ethos and principles that powered his journalism. He further said that our Constitutional framework provides for required intervention by the state to ensure smooth working of the press and the society. "The laws provide that such intervention should only be in the interest of the public at large," he added.